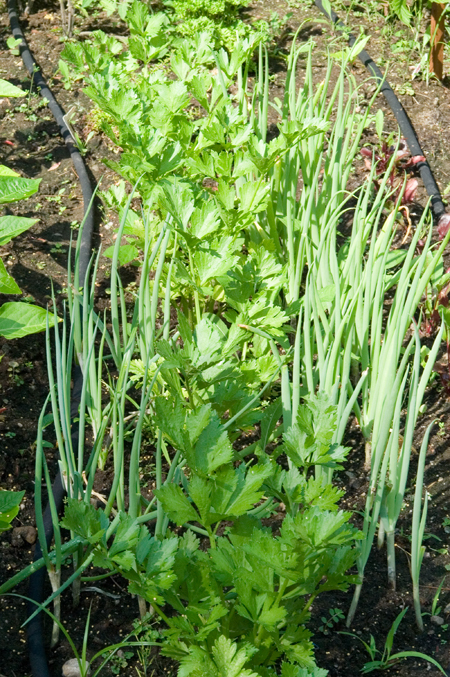 Scallions In My Garden & My 200th Post! I can’t believe this is my 200th post! Time sure flies when your cooking up a storm! I didn’t really plan it, but I couldn’t have found a more fitting post than to celebrate my 200th post. Among cooking, I love gardening. I’ve had many perennial gardens and bushes, etc. (I used to spread 15 yards of mulch in my garden beds alone every year), but never really got the knack of vegetable gardening. In prior years I would plant basil and tomatoes in planters. The basil was fine, but the tomatoes were a failure all but one year. This year I decided to take one of the perennial gardens I emptied out the year before, and turned it in to a vegetable garden. I fenced it in with a short fence so the rabbits, etc. couldn’t get in. 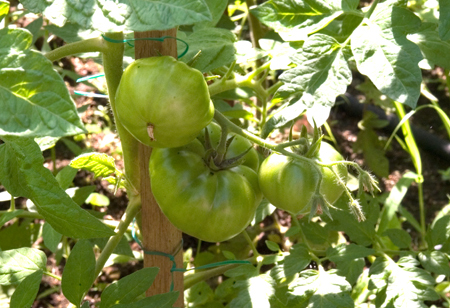 Well I will tell you, my tomatoes are doing great (I’ve planted at least 20 plants of various varieties)! The zucchini, not so much. I think I may be over watering, so I’ve cut down the watering to see if it makes a difference. The eggplants are growing, cucumbers, peppers, all doing OK. I’m looking forward to my tomato posts, and just picked my first ones today. My daughter, who is beginning to have vegetable gardens as well, already got loads of peppers (I’m so jealous), and tried Giada’s Stuffed Peppers last night, which she said were delicious. I’m already planning next years garden. I’m clearing out another garden, so I can have a bigger garden. Hopefully by then I know what I’m doing. Scallions are one thing I knew I wanted to grow. My friend Emily told me that she once grew them from scallions bought from the market. So I decided to try it. I cut off most of the scallions to use, and left about 4 inches up from the roots. I put them in a glass of water, and left them for a day or two, to make sure they got plenty of water, so they’d be nice and strong when I put them in the garden. When I put them in the garden, they were already re-growing more green stalks in the water! Well, this is the result after planting them for a few weeks! Every once in a while I buy more to plant in the garden, so I have a steady supply in the garden. 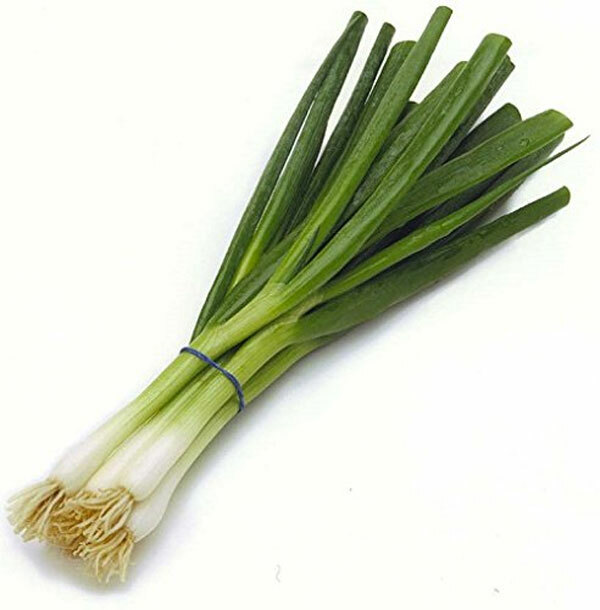 This is so easy, any one can grow scallions! Scallions and Parsley from my garden! 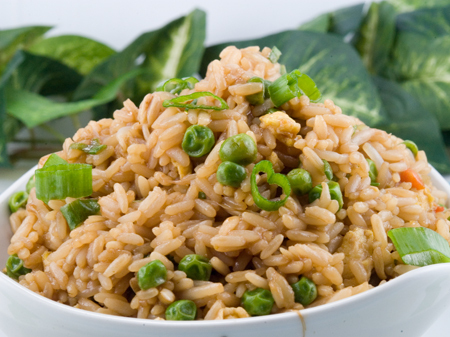 Fried Rice – This recipe is THE best fried rice I have ever had. In no way does it imitate that Chinese food restaurant stuff! This has fresh peas and scallions, and a very pungent sauce. You could even add beef or chicken if you like! 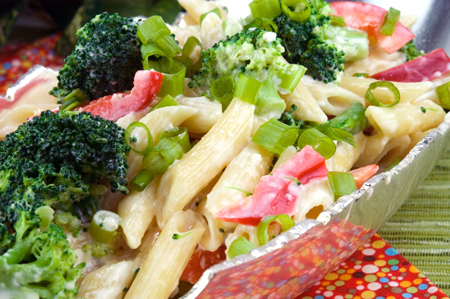 Ziti and Broccoli in Garlic Cream Sauce – Everybody loves Ziti and Broccoli in Alfredo sauce. 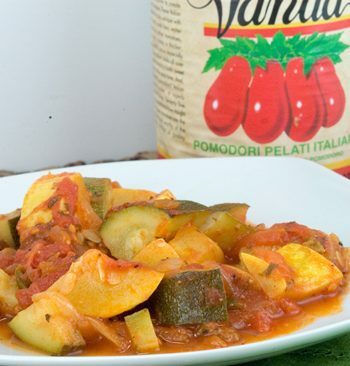 This sauce although made with heavy cream is super light and super tasty. You can even lighten it up and make with light cream if you choose. You can also change the veggies or add any others you choose. This recipe is a sure bet when craving comfort food! 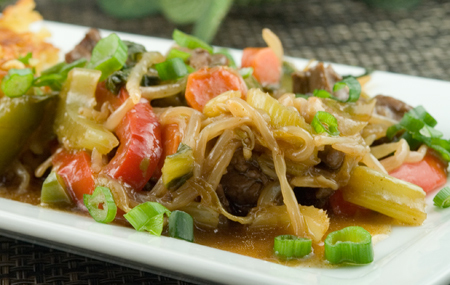 Oriental Stir Fry with Crispy Noodle Cake – This stir fry is super, super tasty! Scallions are a must in the Crispy Noodle Cake that goes along with the stir fry. 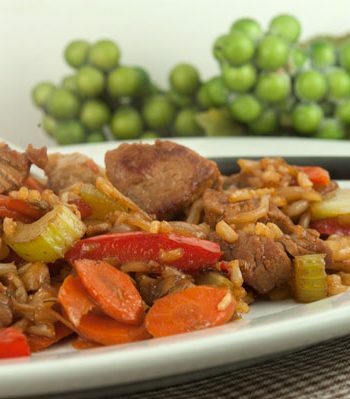 This stir fry uses my favorite Oriental ingredient House of Tsang Oyster Sauce! I hope you enjoy scallions as much as I do, and enjoy these recipes as well! Gorgeous!! I literally completely grow scallions in a cup of water. They do really well–not quite as well as the ones on your garden, though! I just found this out this year! Great for the winter when you just want to cut off a little. They just keep growing!